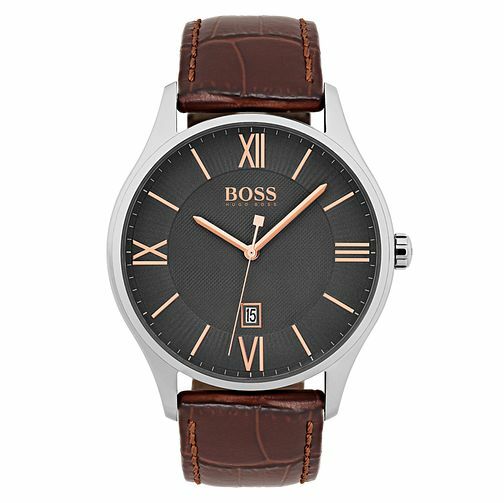 From iconic brand Hugo Boss, this smart stainless steel timepiece is designed with a smart cracked brown leather strap with an elegantly contrasting black dial. Also featuring a handy date aperture and highly visible rose gold tone indices, this is the ideal watch for the modern professional. Hugo Boss Men's Stainless Steel Strap Watch is rated 5.0 out of 5 by 1.